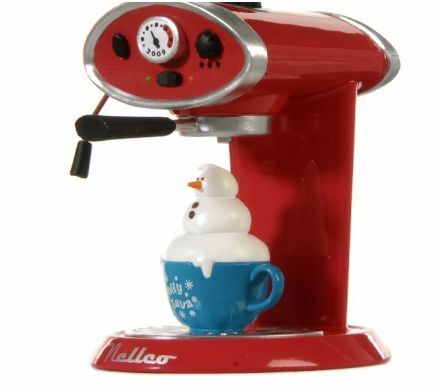 Perk up your Christmas with the 2009 Hallmark Keepsake Ornament featuring a cute coffee maker. 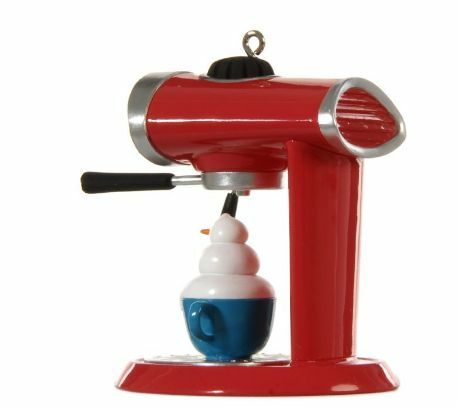 The ornament is dated "2009" on the gauge on the coffee maker. 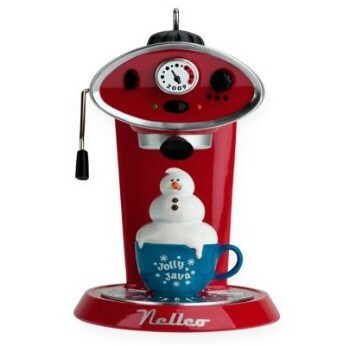 On the blue cup "Jolly Java"